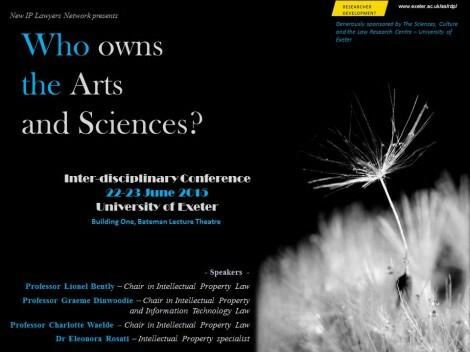 Why IP Matters: Who Owns the Arts and Sciences was an inter-disciplinary Conference held at the University of Exeter, UK, (22-23 June 2015). 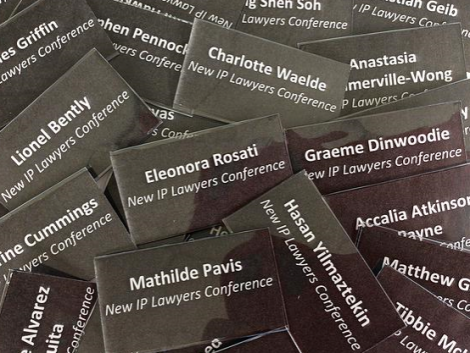 The inaugural event was organised by doctoral students at Exeter to launch a new initiative, the New IP Lawyers Network, and was funded in part by the Sciences, Culture and Law Research Centre (ScuLe) at Exeter. The main questions that the conference aimed to address included: Does owning creative and innovative works matter? Can the law really shape the Arts and Sciences to the extent of encouraging innovation? Should individuals own pieces of our culture or of human progress? The two day event included eminent keynote speakers in Intellectual Property Law (IPL) and CH: Dr Eleonora Rosati (University of Southampton) ‘EU Copyright: Just like a New IP Lawyer’; Professor Graeme Dinwoodie (University of Oxford) ‘The Territorial Character of Trade Mark Law in a Post National Era’ and Professor Charlotte Waelde (University of Exeter) ‘On Cultural heritage and intellectual property Laws’. Professor Lionel Bently (University of Cambridge) delivered the annual ScuLe lecture, ‘Innovation – The New Paradigm in IP law?’ which reflected on the current changes in nomenclature and questioned the shift from ‘intellectual property’ to ‘innovation’. Conference papers were presented by a diverse range of practising lawyers, academics and post-graduate students from different countries and backgrounds including human rights, cultural historians and CH professionals reflecting the inter-disciplinary nature of the conference. Panel three, ‘Cultural Heritage and Intellectual Property: New Policies and Agendas’ addressed a range of very interesting aspects relating to IP, tangible CH and ICH, the ownership and authorship of CH and folklore, the impact of copyright on creativity and the digitisation of CH and museum collections. The keynote lecture On Cultural Heritage and Intellectual Property Laws was given by Professor Charlotte Waelde, Chair in Intellectual Property Law at the University of Exeter. Her paper addressed the relationship between the commodification of CH, ICH and human rights and she introduced new perspectives for IP law for the cultural sector to consider when implementing their copyright policy. She began by giving an account of two research projects that she is currently working on. 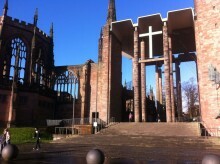 The first one, RICHES (Renewal, Innovation and Change: Heritage and European Society),is an EU-funded project concerned with the change in how we access, interpret, communicate, participate in, and preserve European CH in a digital era and how this has contributed to the recalibration of relationships in the CH sector. The impact of the digitisation of CH, as well as changes in cultural practice such as co-creation and collaboration, has raised complex questions around IP and copyright in particular. Professor Waelde asserted that IP needed re-thinking in order to support these changes. Her second project is an AHRC-funded research project In Visible Difference: Disability, Dance and Law. This project aims to extend current thinking that surrounds the making, status, ownership and value of work by contemporary dance choreographers and the associated issues of exclusion and difference which raises questions around the place of dance. Working closely and directly with disabled dancers (a contested term) the project aims to question ‘what is it in existing theoretical and legal frameworks that helps or hinders the participation of disabled dance artists in the mainstream’? Using a film of contemporary dance to illustrate her presentation, Professor Waelde continued with an outline of tangible CH and ICH and the increasing practice of ‘making tangible’ what was once intangible through the use of sophisticated digital technologies and techniques for recording and capturing. She questioned the role of ICH in the digital era and the implications of this digital capturing of the intangible which resulted in ‘fixing’ or making permanent that which was once ephemeral. This raised questions at the interface between ICH and IP, notably around ownership and commodification which places ICH as an asset. She acknowledged that there were concerns around this capturing of ICH but suggested that used creatively, IP could be used for the benefit of those who generate ICH. Professor Waelde asked us to think about what we mean by the terms ‘intangible’, ‘cultural’ and ‘heritage’ and to reconsider the meaning of ‘tradition’; ‘authenticity’; ‘identity’; ‘curation’; ‘authority’; and ‘other’. She acknowledged that ICH is a slippery term and questioned why some forms of CH and ICH are protected while others are not, and who decides what is included in these categories? Importantly, she emphasised that new forms of contemporary ICH should also be included as a category for protection. In addressing the question ‘What is ICH?’ she referred to the 2003 UNESCO Convention for Safeguarding Intangible Cultural Heritage which has a focus on cultural diversity and identity and she explained that this was introduced due to the failure to protect folklore. One hundred and sixty one states are party to the Convention but the UK is not. She discussed Article 14 of the Convention and highlighted the tension between the right to culture and the right to benefit from culture. The Council of Europe Framework Convention on the Value of Cultural Heritage for Society (Faro 2005) defines CH and ICH as a performance and negotiation of identity and as a reflection of values and beliefs to sustain and transmit to future generations. The Convention recognises the relationship between the right to participate in cultural life and human rights as defined in the Universal Declaration of Human Rights. Again, the UK has not signed to this. In conclusion, Professor Waelde urged the CH sector to use the rights to culture and cultural rights, as found in the international human rights framework, as a starting point when developing copyright policies and strategies. The first panel paper, The Tangification of Intangible Cultural Heritage by Megan Blakely (University of Glasgow),addressed the paucity and difficulty in assigning suitable legal rights to ICH due to its nature as an evolving living heritage and emphasised the over- valuation of protection for the tangible at the expense of the intangible. In an era of new technologies and globalisation the mass digitisation of CH and the increasing online access to collections of images is not without its problems. The presentation by Andrea Wallace (University of Glasgow), Claiming Surrogate IP Rights: When Cultural Institutions Repossess the Public Domain, addressed some of the problems facing UK cultural institutions and the digitisation debate in making collections available to the public while balancing the obligations to honour the author’s intellectual property rights. She questioned how a cultural institution could maintain control over attribution to its items once the digital reproductions are placed online, specifically in relation to public domain works and Orphan Works. Public domain works are those in which the IP protection period has expired and should be openly accessible to the public, “an item in the public domain remains in the public domain” but Wallace argued that this was increasingly not the case. Many cultural institutions are restricting the use of digitised public domain works through imposing complex terms and conditions and revenue producing agreements on the use of the work such as temporary licenses and contracts. Orphan Works, when the item is in copyright purgatory, were part of this trend. The public can apply to the Orphan Works Licensing Scheme (UK) to use a work but it is not guaranteed that it will be unconditionally granted by a cultural institution and the costs may be prohibitive. Wallace acknowledged that in an increasingly digital world, cultural institutions have had to adapt and are working under financial constraints and the revenue earned can offset the costs of future digitisation. She refers to this practice of restricting and limiting access to public domain works as a form of ‘surrogate’ rights which she warns is becoming an accepted practice and that these trends undermine the rationale behind public domain works. Folklore is a rather neglected aspect in IP law. Mohammed Shahnewaz’s paper raised the questions ‘What is Folklore?’ and ‘Who Should Own Folklore?’ and addressed the meanings and implications of ‘owning’ folklore within an IP framework. He highlighted the way existing western copyright law fails to understand how to protect folklore as it requires fixation, ownership and a product in order to apply copyright and protect a work. Shahnewaz argued that folklore is an iterative process which is constantly repeated and passed from generation to generation. Further, this transmission is performative and mutable and “no story is told the same way twice” which highlighted the difficulty in defining it and pinning it down. In asking the question “Who Owns Folklore” Shahnewaz raised the problem of assigning ownership – one of the criteria for IP law. Was it owned by individuals, a community, government or multi-media? Folklore could not be the property of an individual as it arose over centuries through the interaction of people and groups. Likewise, if it belonged to a community, what constituted that community? Communities may dispute claims and counterclaims of the origin of a particular folklore tradition. 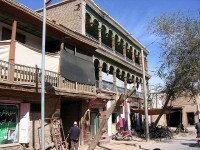 He suggested that it was impossible for a Government to decide which particular community or tribe owns folklore and even though they may decide on the identity and CH of a nation this was a selective decision and he questioned if it was possible for them to reflect the plurality and diversity of its citizens. 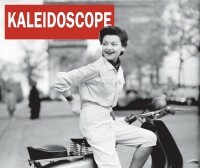 The implications of owning, whether through recording, capturing and documenting folklore through the lens of IP law and copyright was, he suggested, alienating to the very concept of folklore and destroyed it as a living concept and he questioned whether commodification and the owning of folklore could impede the continuation, the cultural evolution and the production of new forms of folklore. The fourth and final paper in the panel was an example of how a state can prevent access to CH and the impact of this on creativity. Who owns Ananse? Exploring the Tangled Web of Ghanaian Copyright, by Stephen Collins, Lecturer in Drama and Performance at the University of the Highlands and Islands, Scotland addressed issues of state ownership and control of CH. After independence from Britain in 1957, Ghanaian artists used folklore as part of their aim to construct a national identity. Stephen’s paper focused on Ananse, the owner of stories and the allegorical and literary heritage of Ghana. He discuss post-independence Ghanaian theatre that combined western literary traditions with Ghanaian narratives and traditional story-telling techniques which remains a central element of Ghana’s contemporary theatre. Ghanaian folklore, however, as part of Ghanaian heritage, is owned by the President of Ghana in perpetuity. Fixation is not necessary to be owned by the state. The 1985 Act for the Protection of Folklore asserted that any non-national had to pay to use or access Ghanaian CH but it was accessible for Ghanaian nationals. In an age of global theatre and music, remixing and reworking of Ghanaian folklore by Western artists and musicians, the Act provided a lucrative income for the government. In 2005 Ghana’s Copyright Act stated that both nationals and non-nationals had to apply for permission and pay a fee for any use of Ghanaian folklore. Stephen explained that the reason behind this was the TRIPS Agreement, Articles 1-21 of the Berne Convention which stated that nationals and foreigners have to be treated in the same way, even though it does not mention folklore. Many states do not protect folklore but those that do, do so in different ways. The stories of Ananse connect the past with the present and were continually returned to when creating new work in Ghana. The impact of the Copyright Act has meant that this is no longer the case and there is a worrying disconnect between Ghanaian IP policy and how artists create work. All in all this interdisciplinary conference reflected the complex issues facing CH institutions in an era of digital technologies and the relationship to IP law. A key element in the framework supporting the CH sector is that of intellectual property and of copyright in particular, and CH professionals need to be aware and informed of the issues that can arise in order to be able to confidently deal with them. The RICHES project is concerned with the changes in the CH sector, the re-calibration of relationships and in the transformation of European CH from the analogue to the digital. It aims to develop a sustainable legal framework for the protection, promotion and development of European CH into the future. Digitisation and IP bring complex challenges and this conference exemplified those concerns. 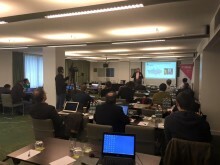 The IPR workshop was an opportunity to begin to explore some of the issues that are likely to arise during the project as pilots and tools are developed and as open content is monetised. The Content Space will then directly link to the Technical Space currently under development. The materials of the Content Space are curated by the IPR experts of Exeter University and, as a part of the Content Space, the associate partner Open Knowledge is building the Open Content Exchange Platform.